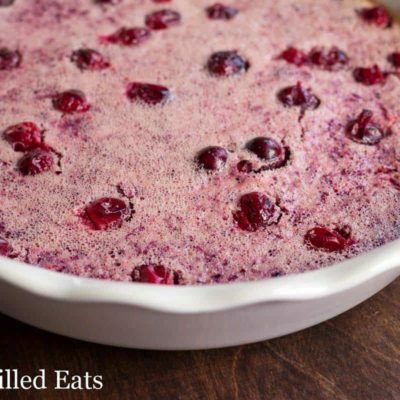 This Orange Cranberry Custard Pie comes together in about 5 minutes. Seriously. You just put ingredients in the food processor and turn it on. And then whip some cream to top it with. 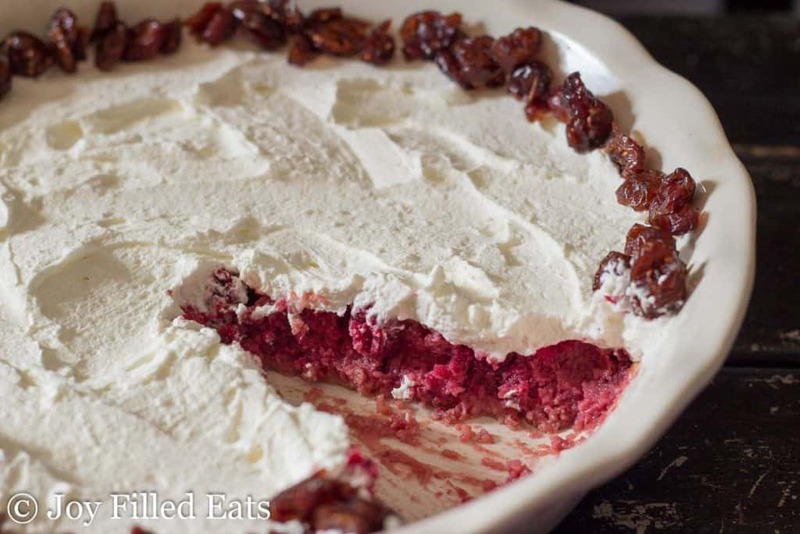 It is the easiest dessert to grace your Thanksgiving table. I hope the rest of you like cranberries as much as I do because I still have two other cranberry recipes coming after this one. And then I’m done. Promise. But they just have such a beautiful color and vibrant flavor. And they are the only berry in season this time of year. I love white serving pieces. They are so classic and timeless. I prefer to dress up my table with linens and flowers. They are more inexpensive to change out with the seasons. I collect white serving pieces in all shapes and sizes. I was thrilled when Emile Henry sent me this one. I’m also having a giveaway for one in your choice of color just in time for Thanksgiving. Come over to my Facebook page to enter at http://gvwy.io/x8ia91o or scroll to the bottom of this page. 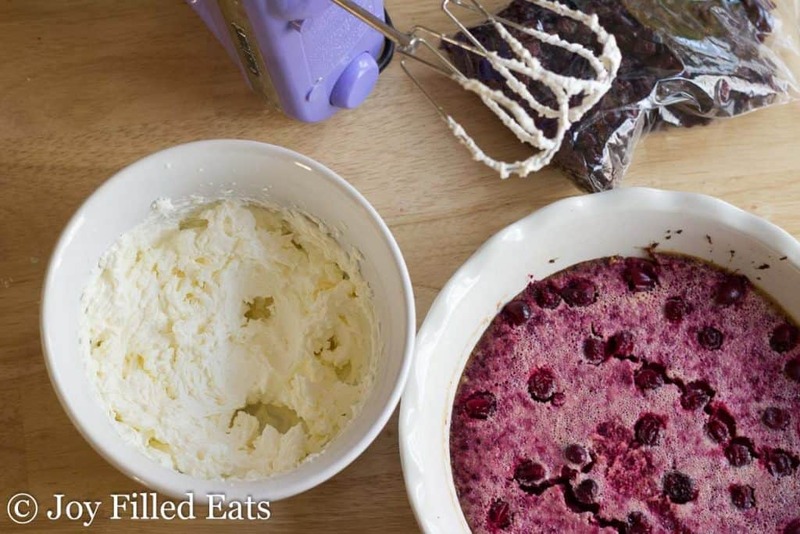 Combine 2 cups of the cranberries and the rest of the filling ingredients in a food processor. Process until smooth. 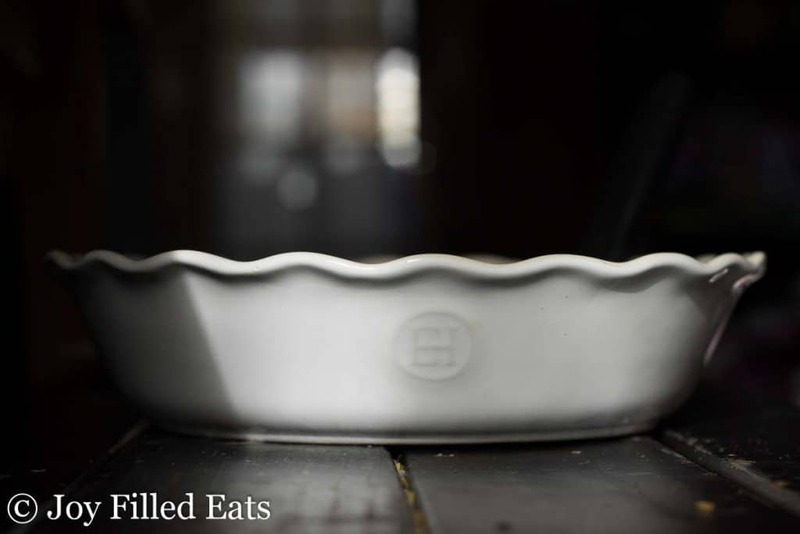 Pour into a greased pie plate. Sprinkle the remaining 1/2 cup cranberries on top. Bake for 50 minutes or until the center only jiggles slightly. Cool completely. Whip the heavy cream until peaks form. Add the sweetener and extract. Mix well. Spread on top of the cooled pie. Garnish with dried cranberries if desired. Since this does not have a bottom crust you won’t get perfect triangle slices. It’s easier to just scoop some on the plate. Feel free to bake it in an 8×8 square baking dish if you prefer. Since this does not have a bottom crust you won't get perfect triangle slices. It's easier to just scoop some on the plate. Feel free to bake it in an 8x8 square baking dish if you prefer. Subscribe to my weekly email newsletter on the right of this page. I don't have much Gentle Sweet left, can I sub THM Super Sweet and if so how much? Taryn, I mentioned on Facebook that I grew up with custard pies. They are so delicious. 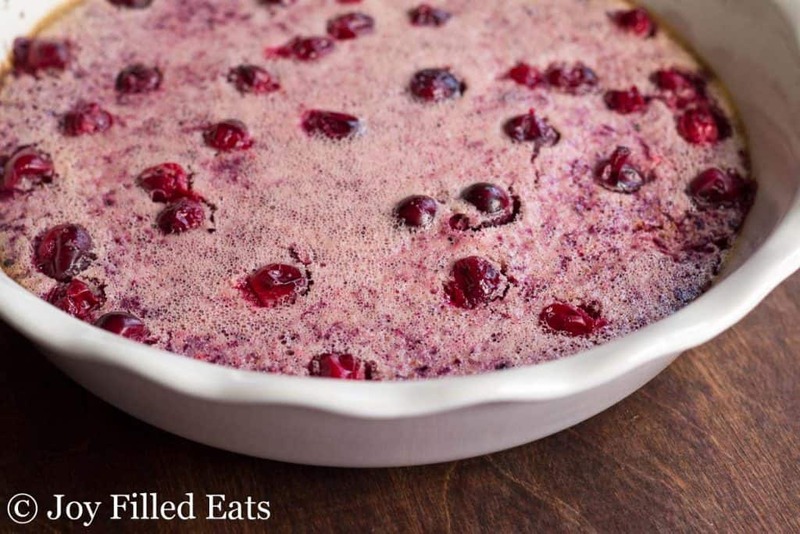 The colors in this cranberry custard pie are amazing. 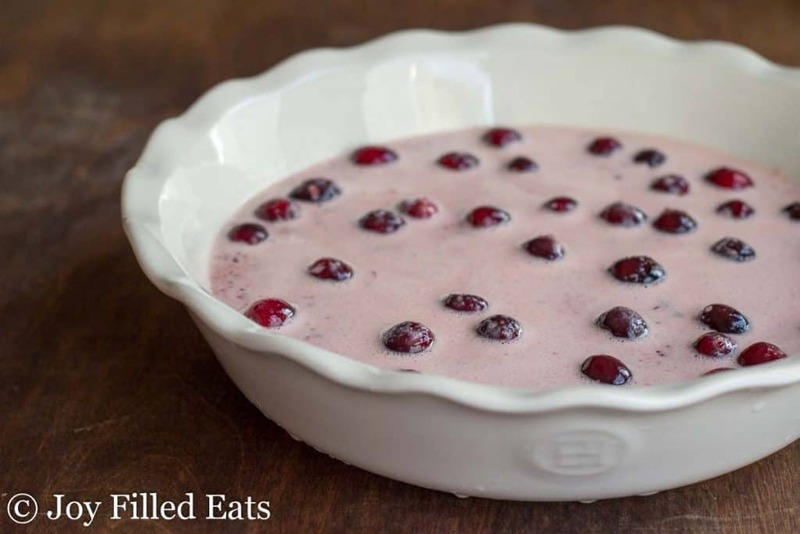 I love cranberries so much and I can't wait to see the other recipes you post. 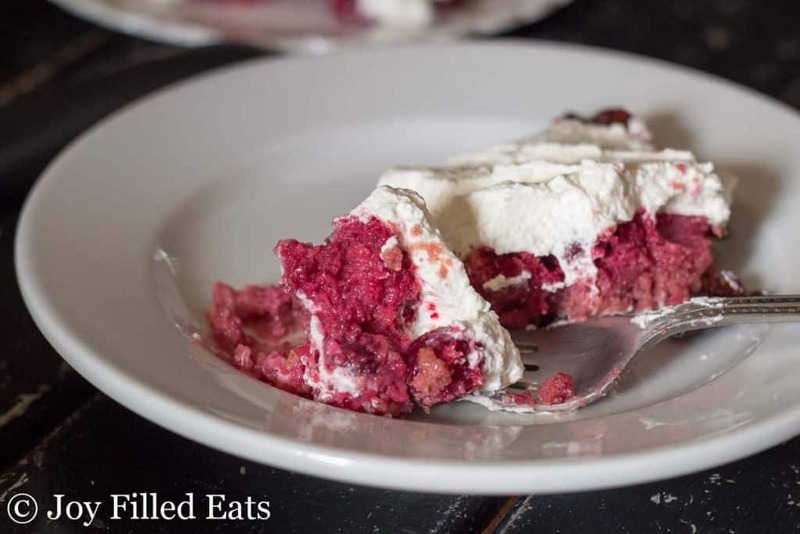 Love the combination of cranberries, cream cheese and whipped cream! I wouldn't miss the crust at all! I love cranberry season! This custard sounds delicious, I can't wait to see the other recipes!